The Texas Education Agency slammed its standardized test vendor with $100,000 in damages and will re-bid the contract in June, after thousands of students were logged out of the testing system this spring. The Texas Education Agency will levy a $100,000 financial penalty against the New Jersey-based company that develops and administers standardized tests, after tens of thousands of Texas students were kicked out of the testing software or encountered connection problems while taking computerized State of Texas Assessments of Academic Readiness exams in April and May. The state agency will solicit bids for a new contract in June, seeking a new company to replace the Educational Testing Service once its four-year, $280 million contract ends in August 2019. This spring's testing issues come two years after ETS flubbed the administration of the STAAR exam in 2016 and Texas schools saw numerous logistical issues with online testing, scoring results and shipping of tests. "ETS takes full responsibility for the recent connectivity issues with the online STAAR testing program and apologizes for the inconvenience to students, teachers and district officials. " ETS spokesperson Tom Ewing said in a written statement Thursday. "We understand the importance of these assessments and strive to make the experience as stress-free as possible. We are committed to ensuring a similar event will not occur in the future and there will be a positive testing experience across the state." Fifth and eighth graders affected by the testing glitches who failed their math or reading tests will not have to re-take the tests in June in order to be promoted to the next grade. Schools will be allowed to use "local discretion" in order to decide which students can be promoted and which should be held back, said TEA spokesperson DeEtta Culbertson. Test results for students affected by the glitches will not be taken into account in campus or district accountability ratings this August, unless their scores would help their district's ratings. After 2016's glitches, the education agency forced ETS to pay $5.7 million in "liquidated damages" and asked it to invest $15 million of its own money to address the numerous logistical issues that plagued test-takers that spring, including online testing and shipping, test scoring and reporting results. 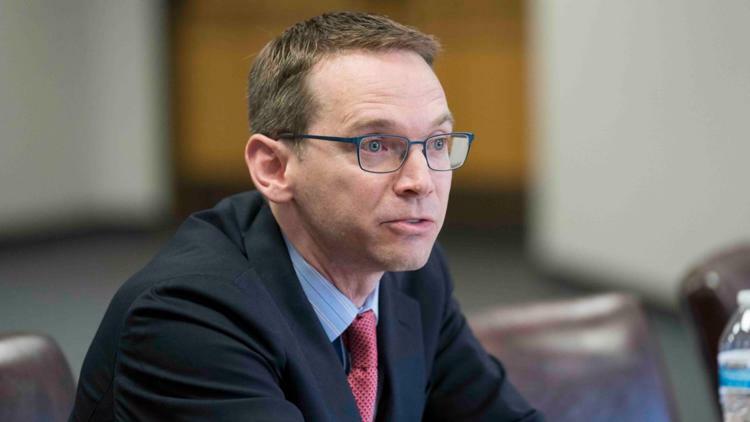 "I believe this combination of liquidated damages with an additional financial commitment from ETS reflects the correct balance of accountability for the recent past and safeguards for the future," Texas Education Commissioner Mike Morath said at the time. Go here to read this article in its original form.